Is He Waiting for a New Gosling? Last week I took my mom to her oncologist. To make it easier, I circle around the ER so she can get out of the car on the passenger side. 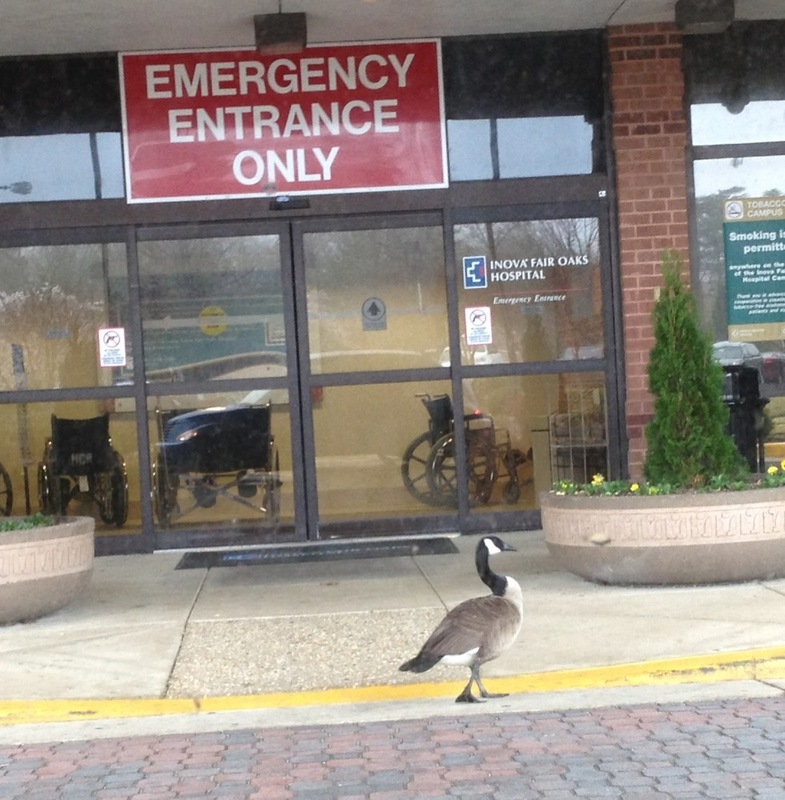 We saw this goose standing by the ER entrance. I took a hunch and circled the parking lot before going in to wait with my mom. He was still there – alone – pacing back and forth. I got several pictures from the car and went on to the appointment.